MBA Placements is the most important aspect that an MBA aspirant looks for in a B-school. Lucrative Placement offers that are made during campus placements make MBA from IIMs and other top B-schools in India worth it. While, the hype around six and seven figure placement offers often catch the news headlines, they rarely go into the details of the how placements are done at a B-school. Prof. Abhishek Goel - Faculty – Organizational Behaviour Group at IIM Calcutta shares some important insights about Placements at top B-schools like IIM Calcutta. At any B-school, there is this clamour for Placements; however, when it comes to top B-schools, the situation becomes more complex and different. MBA Placements at top B-schools are a slightly different ball-game, as the expectations are much more and beyond merely securing 100% placements for the students. There are three key stakeholders when it comes to MBA Placements at Top B-schools: the Institute, the students and the recruiters. All these three stakeholders have different expectations which overlap at one point or another. For students, the expectations is that the institute facilitates high qualify placements for them, which provides a great challenge for the institute to continuously work on. For recruiters, the expectation is that the institute justifies the faith and trust and delivers industry-ready managerial talent to them. They also expect best slots possible for their students, which puts the institute in a difficult bind. The institute also has its own mission, vision & goals that it needs to fulfil when it comes to MBA placements. So, when it comes to MBA Placements at top B-schools, the pressure is not about securing 100% placements, but is about meeting the expectations of all the three key stakeholders. And the respective B-school has to put into place the processes that will cater to the expectations of all constituents. To put it in a nutshell, top B-Schools are fantastic grounds where opportunities come up, the opportunities come the way of people who are prepared, who are ready to take them up. But, most important thing in all of this is not just that you are matching the opportunity but delivering more than what the recruiter has expected and that’s where biggest challenge for top B-School lies. That’s where the opportunities come from. Being one of the oldest and most celebrated B-schools in India, there are several opportunities that come the way of students at IIM Calcutta. There are several reasons for this, starting from the hard work of alumni, academic intelligence of brilliant students, efforts put in by the faculty members and the overall administration run by the institute. All of these factors combined, has made IIM Calcutta one of the preferred “Campuses” in this country where many people want to recruit from us. Placement Process at IIM Calcutta tries to serve the three key constituents. For institute, setting up the right placement process is pivotal as it lays a solid foundation for meeting the expectations of all the stakeholders in the placement process. The placement process and guidelines defined by the institute, helps the B-school to fulfil its mission, vision and goals. For students, IIM Calcutta has defined a unique placements process and programme in a way that they create high qualify placement opportunities for the students, where they can showcase their talent to the recruiters. IIM Calcutta also put in a lot of efforts to help students prepare for the placement process so that they are ready and equipped with the right skills to be showcased to the recruiters. For Recruiters, the placement process helps them meet and identify the right managerial talent that will meet their organizational needs. So, despite, IIM Calcutta being one of the oldest and most renowned B-schools in India, placement process is something that is constantly evolving to keep up with the changing times. Prof. AbhishekGoel is part of the Organizational Behaviour Group at IIM Calcutta. Currently, he is also the Chairperson for Placements at IIM Calcutta. He holds a fellowship from Indian Institute of Management, Ahmedabad (equivalent to Ph.D.) and an MBA in International Business, FMSR, AMU. 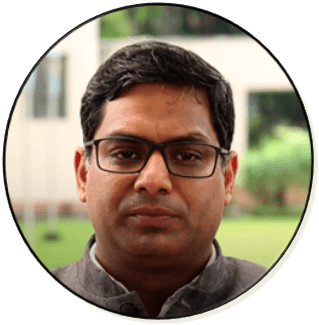 At IIM Calcutta, he teaches courses on Micro Organizational Behaviour, Macro Organizational Behaviour/Organization structure and design, Change Management/Organization Development and Cross Cultural Management. His Consulting interests revolve around Leadership Development, Leadership and Organizational Culture and Sensemaking / Systems View.